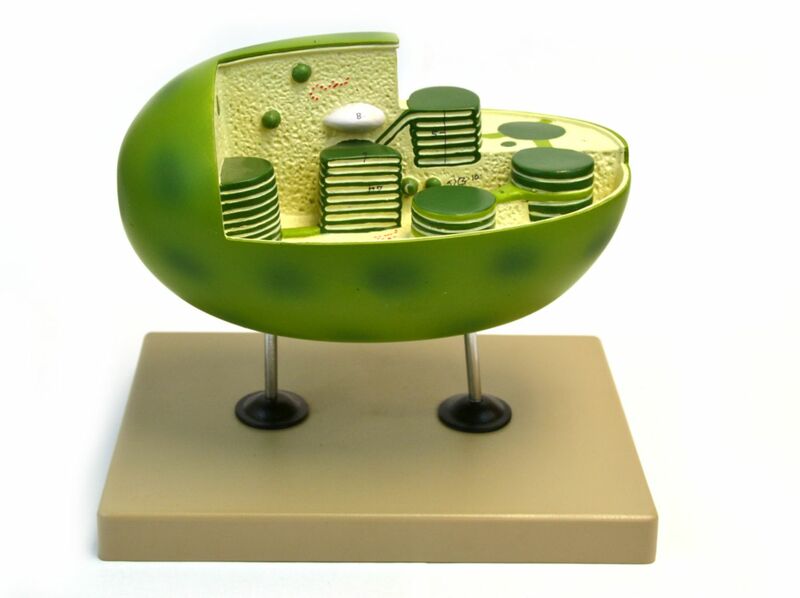 This chloroplast is a magnified example of the cell organelle of photosynthesis. The cut away shows the chloroplast's internal structure and highlights the inner and outer membrane of the thylakoids, grana, and stoma. The chloroplast is adaptable for nearly every skeleton.